The Car wash at the end was very basic! Barb is amazing! She helped me find the perfect car that fit all of my needs. She gave me the best possible deal too! Bought a CX5 yesterday from Barb Sullivan - 10/10 rating - very kind, friendly, empathetic, professional, and accommodating. She helped me through what could have been a difficult process. I appreciate her time and efforts, and I LOVE the car!! (Javier and Jorge were great too 🙂 ) Definitely a 5 star dealership. Great service, excellent buying experience. 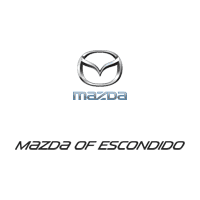 My wife and I have worked with Mazda Escondido like 4/5 times! If it was for service or trading in and upgrading! They are all great and amazing team to work with!